The Wood Pile is a Community Interest Company based in Durham, founded by Karen Stubbings in 2014. TWP intends to reduce the amount of wood going to landfill and incinerators by means of recycling/upcycling, wood and furniture are not only collected from waste streams they are also donated, bought at auctions, charity shops and markets. Many people will just discard their old furniture when they think it has served its purpose or too damaged or dishevelled to be used, what TWP sees is an opportunity to take that furniture make it look good as new or give it that “Shabby Chic” look, and then sell it in their warehouse shop. TWP supports those who have barriers to work into and towards employment, they do this by having our clients work alongside volunteers, gaining transferable skills such as business admin, customer service, retail and joinery. 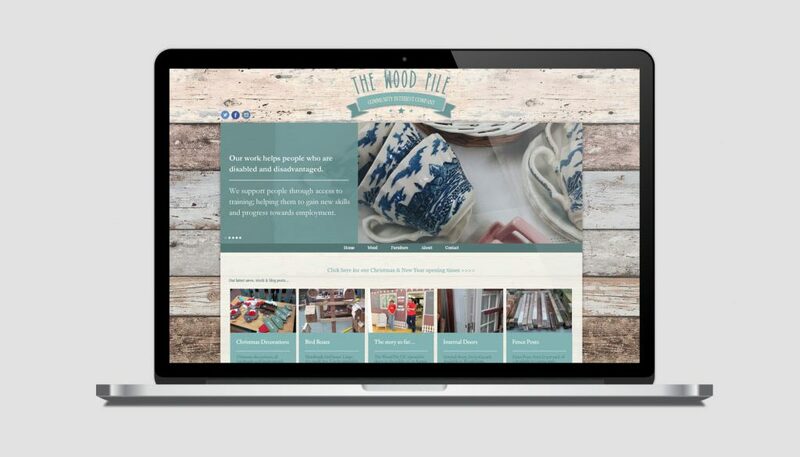 We worked with The Wood Pile to develop a smart new website with an intuitive content management system, that would be easy for staff and volunteers to update. We provided advice and training on how best to upload new products.